GreenDIYEnergy Scam - Is Green DIY Energy a Fraudulent Scam? GreenDIYEnergy Scam – Is Green DIY Energy a Fraudulent Scam? 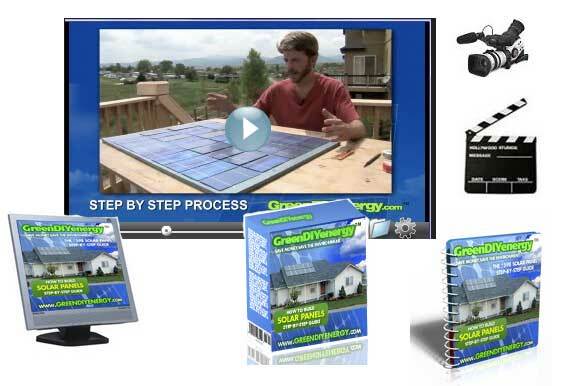 Home/Green DIY Energy/GreenDIYEnergy Scam – Is Green DIY Energy a Fraudulent Scam? One of the popular home renewable energy guides on the internet is the Green DIY Energy program. If you didn’t know, you can find the program at www.greendiyenergy.com. Due to its popularity, many people are wondering whether Green DIY Energy is a scam. It is a fair assumption and I decided to write something about it. When you land on the main web site, there’s a big bold title that says “The Secrets of Building Your Own Solar Energy…for less than $200”. I guess the key question here is, can you make a DIY solar panel for less than $200? If a normal person can’t do so, it is fair to say Green DIY Energy is a scam. So I’m using that as my control criteria to judge if the program is a fraud. There are a total of 4 e-books that comes with Green DIY Energy. 2 of the manual cover DIY solar panel while the other 2 e-books talk about DIY home wind generator. When I read the manual on solar panel construction, the actual recommended cost is only $98, not $200 as mention! I was thinking, why are they raising the bar for themselves? Wouldn’t it be an even bigger challenge to work with such a small budget? Here’s the catch, the Green DIY Energy solar panel plans focus on only 1 solar panel, not the whole home solar power system. A complete system would definitely cost a lot more. Some people misunderstood this and thought they can build a complete residential solar energy system with only a couple hundred dollars. A complete solar system has multiple components. You will need the DC disconnect, charge controller, circuit breaker, battery bank, power inverter etc. Even if you can get the parts cheaply, you would need a budget of at least $1000. Okay, back to the topic, can we make a solar panel for only $98? Based on the project costing as shown in the Green DIY Energy e-book (diagram below), the biggest cost is on the Photovoltaic (PV) cells which is $67.50. Hence, 69% of the budget is on the solar cells alone. If we can validate the cost of the solar cells as recommended, then we can prove Green DIY Energy’s claim. The solar panel design is capable of generating approximately 18 volt and about 75 watts of electricity. The panel would be sufficient to charge a conventional 12 volt deep cycle battery. As it turns out, you will need 36 pieces of 3” x 6” PV cells for the solar panel. The origin of the solar cells is from Ebay. So let’s have a look in Ebay. I did a search on Ebay to see if I could find some inexpensive solar cells. It took me about 10 minutes of searching. The closest offer that I could find is a 36 pieces of 3” x 5” solar cells selling for $56.50. So far, the DIY solar panel project costing as recommended in Green DIY Energy is pretty accurate. In the e-book, they spent $67.50 on solar cells. When I search in Ebay, the actual price offered for 36 pieces of PV cells is $56.50. So is Green DIY Energy a scam? From my research, the recommendation is quite valid. So, it is not a scam. They promised that you can build a homemade solar panel for less than $200. My guess is, if you were to follow their instructions to the letter, you can get it done for less than $150. 2) Is It Possible To Power Your Home With Wind For Less Than $140? 3) Deep cycle battery – A deep-cycle lead-acid battery is designed to deliver a consistent voltage as the battery discharges. In contrast, starter batteries (e.g. most automotive batteries) are designed to deliver sporadic current spikes. i think greendiyenergy is a scam cos I paid for a kit since now 2009 and havent received anything since then and there are no replies for my mail since money was confirmed received. If you’ve ordered the GreenDIYEnergy package and did not receive it, you can contact Clickbank to get a full refund. The GreenDIYEnergy web site do not handle refund request, you have to go back to Clickbank for that. The following web site explains Clickbank return policy.